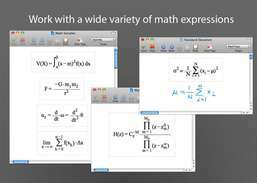 Create formatted math expressions out of your own handwriting. 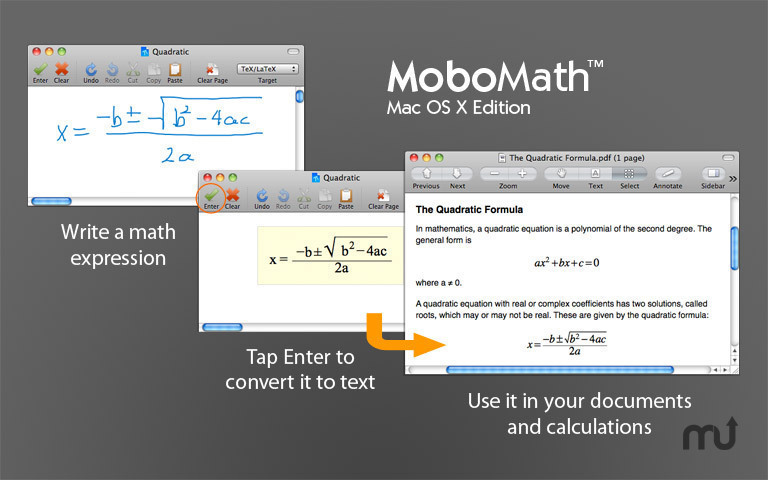 MoboMath lets you create math expressions for your favorite applications in your own handwriting.Using a tablet, trackpad, or even a mouse, just write an equation as you normally would, tap Enter to convert it to formatted math, and copy or drag it into your target application for evaluation, plotting, or documentation.HIGHLIGHTS- Write math expressions effortlessly, without tedious keyboard or palette input.- Use equations wherever you need them - in technical documents, presentations, or on web pages. Evaluate or plot them in computational products. 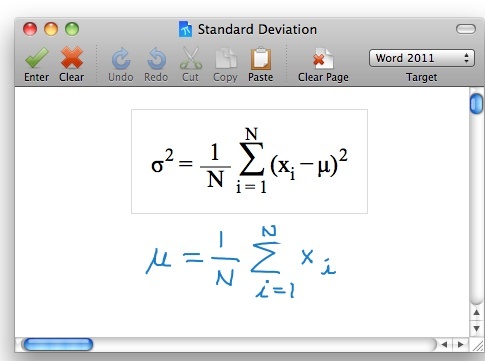 Equations are translated into the correct format for each target and can be reused across applications.- Create expressions for Microsoft Word, Mathematica, Maple, MathMagic, MathType, and products like iWork that use MathType as an equation editor. 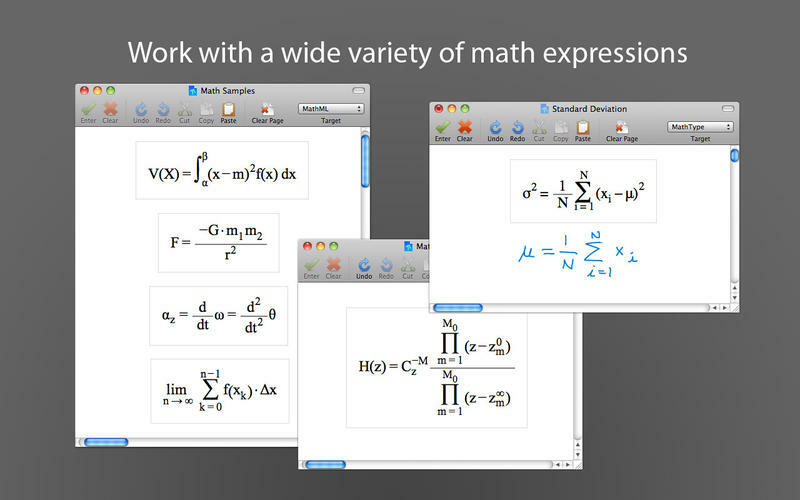 Use MoboMath's MathML and TeX formats to support a broad range of other standards-based applications.- Make easy editing changes to equations you create or import. Add, delete, insert, replace, or rearrange parts of an expression using simple pen gestures, or use your pen's eraser tip to remove ink strokes.- Customize MoboMath for the types of expressions you normally use, from basic algebra to advanced calculus. 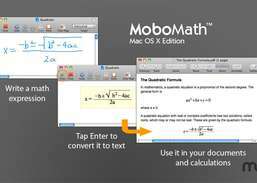 Vectors, matrices, integrals, differentials, limits, ranges, logical operators, Greek characters and more are all available.- Take advantage of MoboMath's optimized pen and tablet support. For easy access, the tools you use most are just a tap away in the MoboMath toolbar. Interactive equation editor for Office, etc. Math calculator instantly computes the result as you type expressions. Visualize and animate implicit and parametric surfaces.